Victorian houses will always be popular because of their good proportions, large windows and (if you’re lucky) wealth of attractive original features, such as tiles, fireplaces and floorboards. But what happens when some of these coveted “assets” don’t mesh with your interior design style? If it isn’t “in keeping”, is it out of the question? 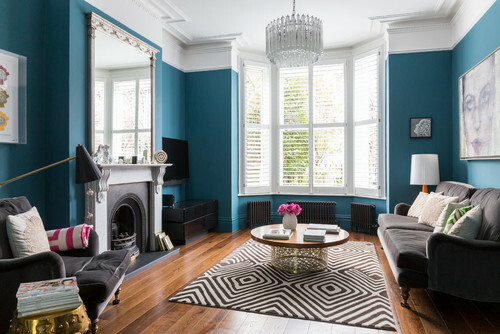 Take a look at these five areas to decode the right décor for your Victorian property. When you move into a Victorian house, it’s fairly likely the kitchen will need work to bring it up to scratch. Sometimes, extending into the side return is an option, or a new layout and fresh fittings may suffice. 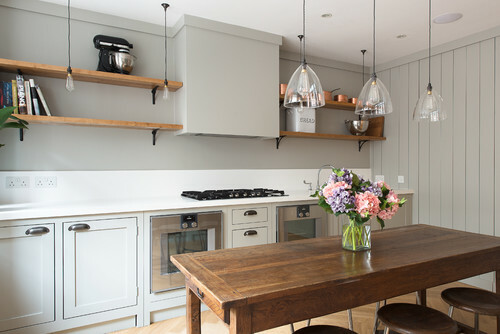 For those keen on era-appropriate kitchen styles, Shaker-inspired cabinets have a traditional feel, but mesh well with modern appliances and finishes, such as composite worktops. Incorporating period details such as tongue and groove will further enhance the mix, and don’t forget to include a sturdy farmhouse table and copper accessories. Check out 10 ways to make the most of a side return extension. Working with a similar palette, but aiming for a more contemporary feel, this bespoke kitchen features sleek, slab-front doors with fashionable T-bar handles. The antiqued bronze mirror splashback and oversized chandelier bring a dose of old Hollywood glamour, but with a modern twist. 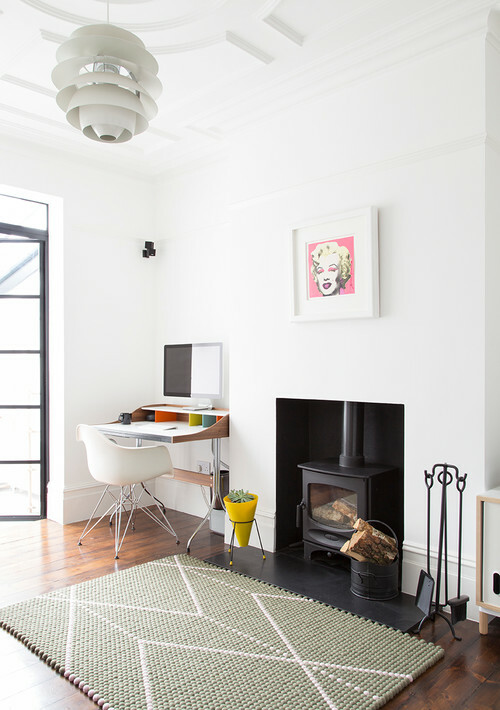 Tour the rest of this compact Victorian flat. Fireplaces are always seen as an attractive asset in a period home, but some from the turn of the century can include some pretty lairy tile combinations. This serene space proves it’s possible to juxtapose old and new through a careful use of colour. Painting the room (and the fire surround) in neutral white and pale grey ensures a seamless backdrop, with interest added by the turquoise tiles. Wooden accessories in a similar tone to the brown hearth lend cohesiveness, while flashes of yellow bring the whole scheme together. See more living rooms with wood-burning stoves for ideas. Original boards that are in good condition can be lightly sanded and waxed, or left with the patina intact to help bring warmth and texture. If extensive repairs are needed, patching with modern boards and painting them might be a more economical choice than sourcing pricey reclaimed replacements. This extension illustrates the appeal of Victorian floors, even after altering a building’s footprint. 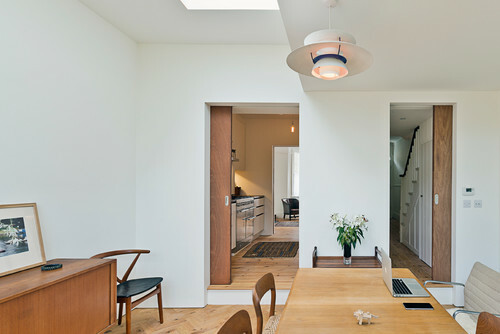 Here, the original boards remain in the kitchen and hallway (seen running in two different directions, to charming effect), while the new part of the house has been fitted with reclaimed parquet to imbue the space with instant personality. See 10 ways to transform your floorboards. If your floorboards have been removed or damaged, replacing them with engineered wood might be a stylish and practical move. Engineered wood floors, such as this wide-plank oak style, are more stable than solid wood and can be used in places where moisture might otherwise pose problems. They are also useful when uniformity is important; for example, when removing walls to create an open-plan space or adding an extension. Pay attention to quality when shopping for engineered wood floors and aim for a minimum 4mm wear layer to allow for refinishing if necessary. Whether your home has an original or a later addition, these architrave rails make an elegant addition to a Victorian property. 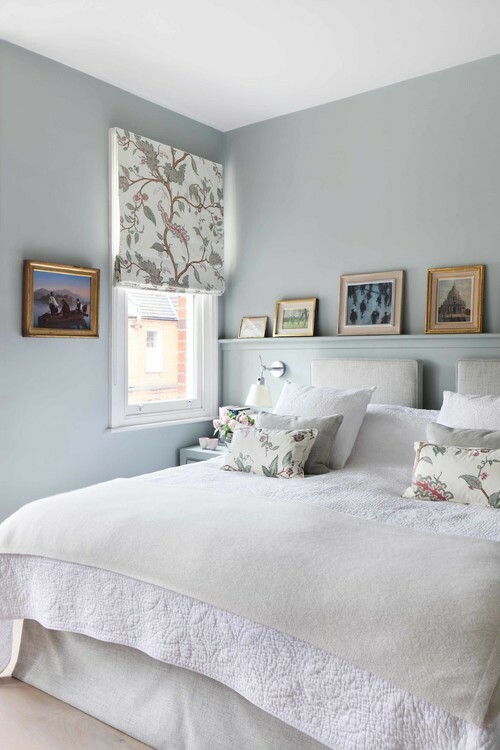 In rooms with particularly high ceilings, painting the picture rail and above white to match the ceiling has the effect of visually lowering the height of the room, as you can see in this scheme. This can be advantageous if the space feels cavernous, or if you want to downplay elaborate cornicing. 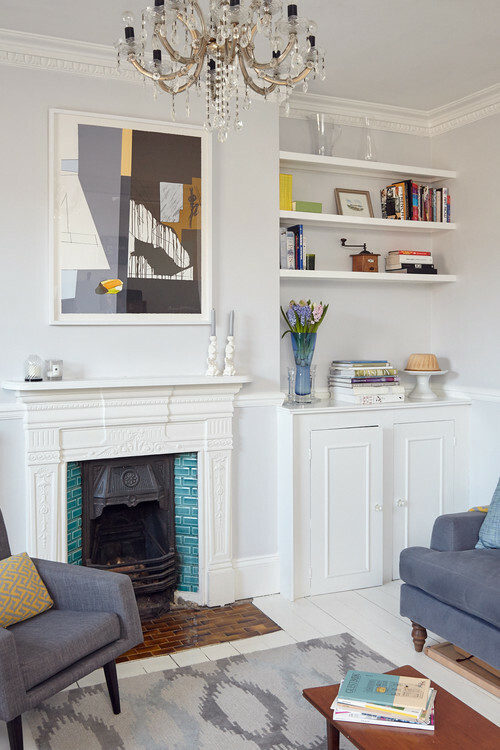 If your dimensions are less grand, taking the same colour of paint over the picture rail and up to meet either the ceiling or coving will elevate the height of the room. It also gives a cleaner, less fussy look. If you’re aiming for a simple, contemporary pad, you may want to do away with your picture rail altogether. In rooms where there are lots of interruptions to the run of the rail – cupboards, a sloping ceiling, windows – it can often look better to go without. And skipping the picture rail gives you more freedom to play with the rest of the décor without being tied to a pseudo-Victorian scheme. In this bedroom, in a gentle nod to original detailing, a useful moulded shelf runs above the bed. Those interested in bringing a little Victoriana to the bathroom are spoilt for choice, thanks to the wealth of options available. Whether it’s antique brass finishes or high-level toilet cisterns that tickle your fancy, assembling a period-inspired wash space with modern functionality is an easily achievable aim. 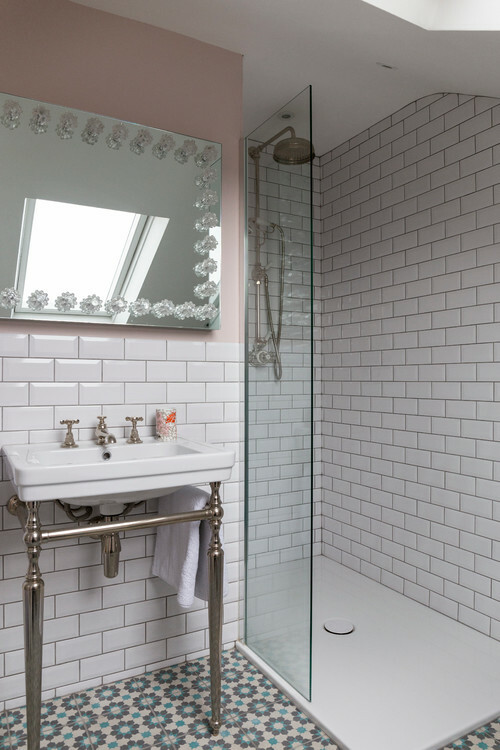 This bijou bathroom includes a Victorian-style exposed shower in polished nickel – a warm-toned metal that complements the delicate pink walls, white metro tiles and classical Sbordoni washstand. For an in-vogue bathroom that recalls a hint of Victorian style, try combining an angular, freestanding vanity unit with a cast-iron tub. 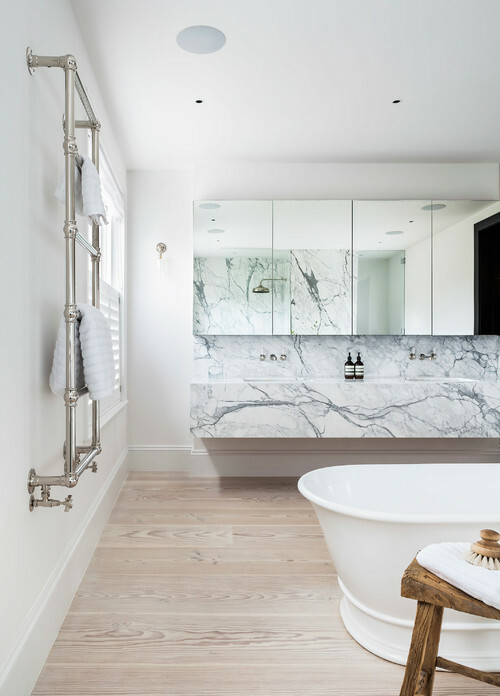 This bateau bath is less traditional-looking than a roll-top and combines well with contemporary brassware for timeless appeal.